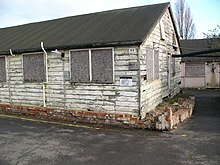 ^ Keith A. F. Woodward, Welcome to West Bletchley — The Birthplace of the Information Age, site retrieved 23 January 2006. 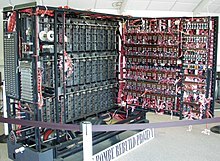 ^ Valentin Foss "Bletchley Park"
^ BellaOnline "Britain's Best Ket Secret"
^ Bletchley Park Trust "Bletchley Park History"
^ Tony Sale "The Colossus Rebuild Project"
^ The Guardian "Back in action at Bletchley Park, the black box that broke the Enigma code." ^ Beaumanor & Garats Hay Amateur Radio Society "The operational huts" 互联网档案馆的存檔，存档日期2007-11-13. Ted Enever, Britain's Best Kept Secret: Ultra's Base at Bletchley Park, 3rd edition, 1999, ISBN 0-7509-2355-5. F. H. Hinsley and Alan Stripp, eds. Codebreakers: The Inside Story of Bletchley Park, Oxford University Press, 1993. Christine Large, Hijacking Enigma: The Insider's Tale, 2003, ISBN 0-470-86346-3. Hugh Sebag-Montefiore, Enigma: the Battle for the Code, London, Weidenfeld & Nicolson, 2000.